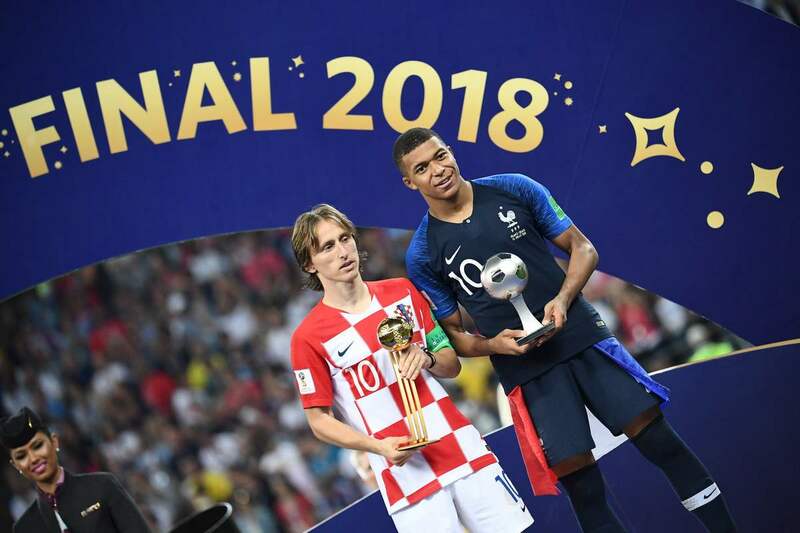 Croatia captain Luka Modric said being awarded the Golden Ball for the World Cup's best player was "bittersweet" after losing the final 4-2 to France on Sunday. "Obviously I liked the recognition and thanks to those who chose me, but clearly I would have preferred to have won the World Cup," said the Real Madrid midfielder. "It wasn't to be and now we will rest and in the coming days celebrate this because it is still a huge thing for Croatia, but right now the feeling is bittersweet. "We are proud of what we have done, but a bit sad at losing the final." 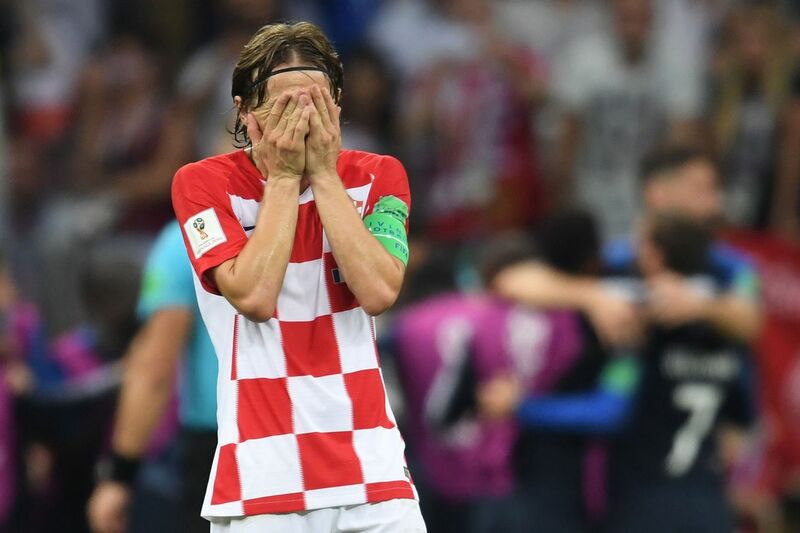 Despite being forced into extra-time in all three of their knockout rounds before the final, Croatia dominated the opening period and were desperately unlucky to trail 2-1 at half-time through Mario Mandzukic's own goal and a controversial Antoine Griezmann penalty. The smallest country to make a World Cup final in 68 years, with a population of just over four million, finally wilted after the break as Paul Pogba and Kylian Mbappe added to France's lead before Mandzukic pulled a goal back. "Although I think we deserved more, we can't change anything," added Modric. "We can only be proud of what we did -- we never gave up and fought until the end." With the score at 1-1, France were awarded a penalty after Argentine referee Nestor Pitana reviewed video footage of an Ivan Perisic handball. Croatia were doubly frustrated by Pitana's decision as France's opener also came from a dubious free-kick. jumping and chanting "We Are The Champions" as their bus paraded down the Champs Elysees before a special presidential reception. where they burst into a spontaneous rendition of the "La Marseillaise" national anthem with President Emmanuel Macron and his wife. More than 300,000 people filled the Champs Elysees, the area around the Arc de Triomphe and the Place de la Concorde on Sunday night, partying into the early hours, singing the Marseillaise, setting off firecrackers and blaring horns until the sun rose. The victory has helped foster a sense of national unity, with commentators playing up the fact the squad, the second-youngest in the competition, includes many with central and north African heritage, even if all but two were born in France. France won the World Cup for the second time by ending battling Croatia's dream of a first title with a 4-2 victory on Sunday in one of the most entertaining and action-packed finals for decades. with Ivan Perisic briefly bringing first-time finalists Croatia level. and ensure there was no repeat of two years ago when they were beaten in the European Championship final by Portugal in Paris. The victory means that Didier Deschamps, captain of the 1998 side, becomes the third man to win the World Cup as player and coach after Brazil's Mario Zagallo and Germany's Franz Beckenbauer. It was the highest-scoring final since England beat West Germany 4-2 after extra-time in 1966 and the highest in normal time since Brazil beat Sweden 5-2 60 years ago. "The small details went in favour of France. It is a shame because I think we were very, very good and deserved to win," said Croatian midfielder Ivan Rakitic. "It is a shame that they didn't review the foul before the first goal and only the one that went against us. "The foul for the first goal is clearly not a foul, the penalty is very, very dubious... it hurts a lot to lose like this." Croatia coach Zlatko Dalic insisted VAR was a "good thing" for football despite Pitana's call going against his side. But Rakitic believes improvements can still be made to the system that was being used in the World Cup for the first time. "I understand they want to improve things with VAR, but there is still margin for improvement," he added. "It has helped a lot but it is still not perfect."